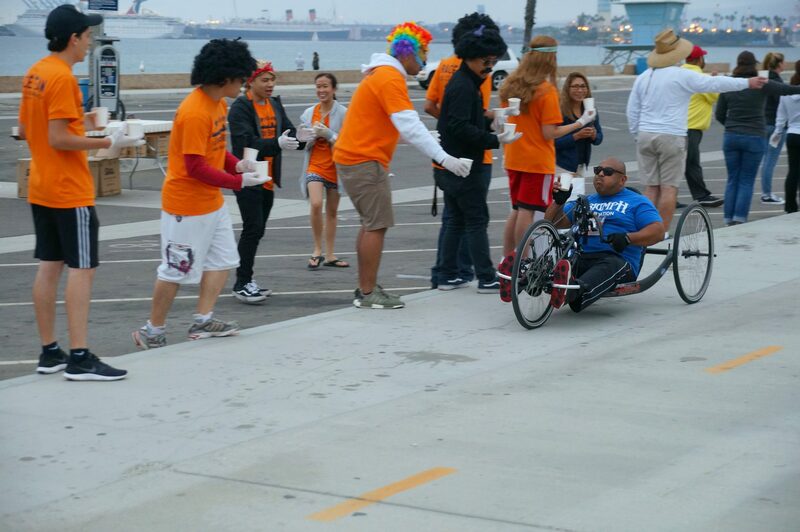 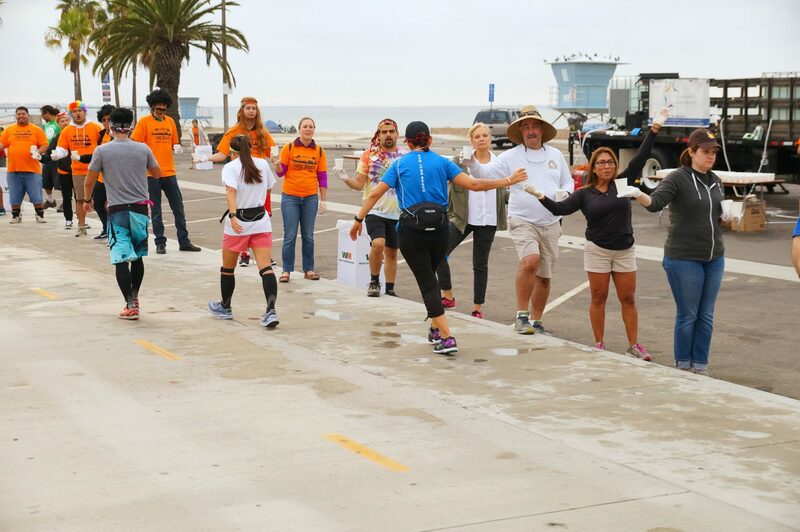 Thanks to the 50+ volunteers who came out early Sunday morning to help Leadership Long Beach at the water station at Mile 7.5 of the 2017 Long Beach Marathon. 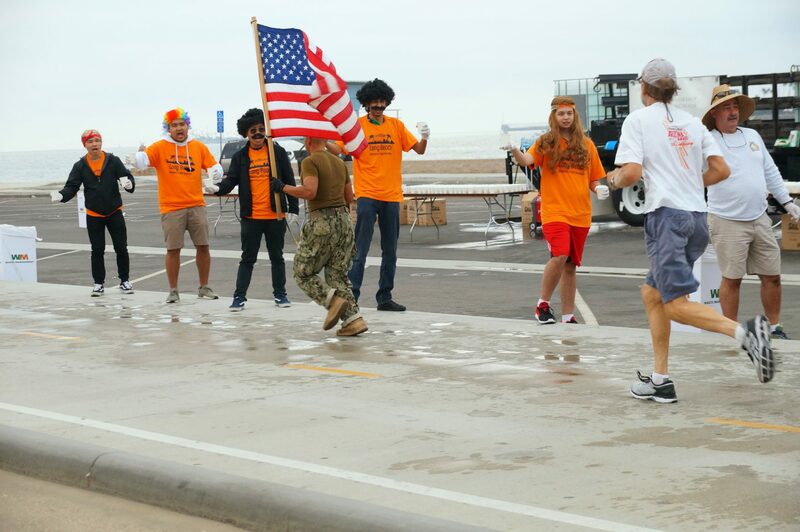 Following the 70’s Disco theme, many LLB alumni, family and friends dressed up in big afros, tie-dye shirts, long hippie hair or funky glasses, which didn’t stop them from handing out water and encouraging the runners, walkers and bikers as they passed the water station along the beach. 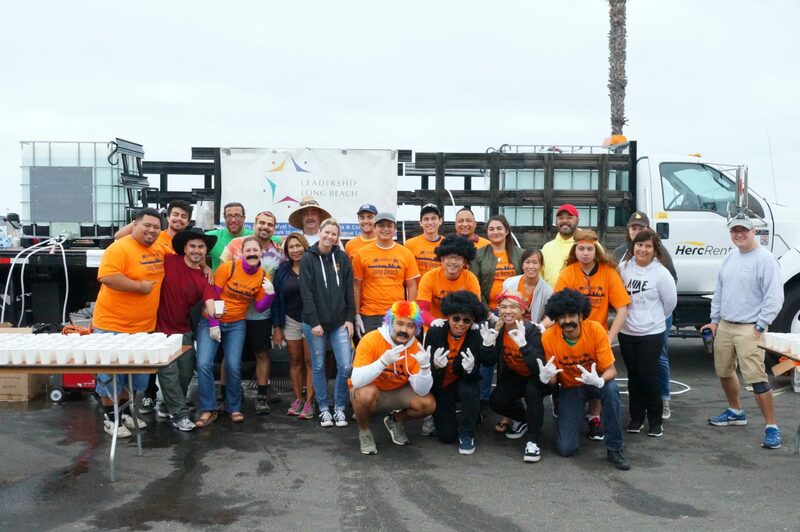 Thanks to Isaac Romero (LLBI ’12) for serving as the LLB coordinator of volunteers for the event and also, thanks to Christine Robbins (LLBI ’15) for coming out early to help get the water truck and supplies out to the water station site.